Located in the heart of Halifax, the Halifax Commons or 'Commons' is a 235 acre urban park that opened in Halifax in 1763 - making it Canada's oldest urban park. 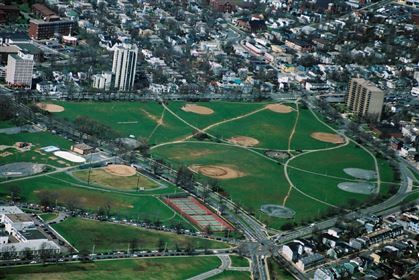 Home to multiple ball diamonds, along with tennis courts and during winter months an outdoor skating oval, which converts to a rollerskating oval in the summer months. Other amenities: playgrounds, skate park and swimming pool. Click here for additional info.